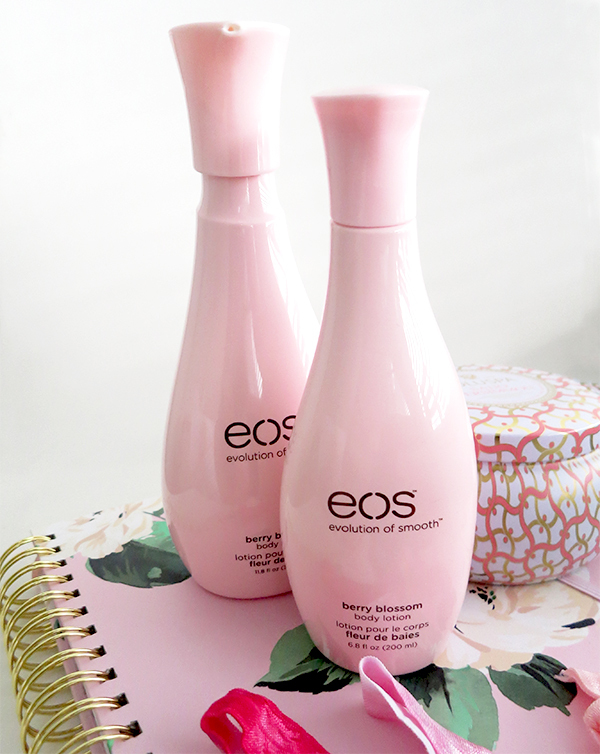 I don't usually post pink-ified products in October for Breast Cancer Awareness month, but I couldn't resist in the case of EOS Berry Blossom Body Lotion ($9.99 on sale for $7.99 at London Drugs). Great formula? Check. Beautiful packaging? Check. Throw in a price tag under $10 and the convenience of being able to buy it almost anywhere, and you've got a true Drugstore Delight on your hands. 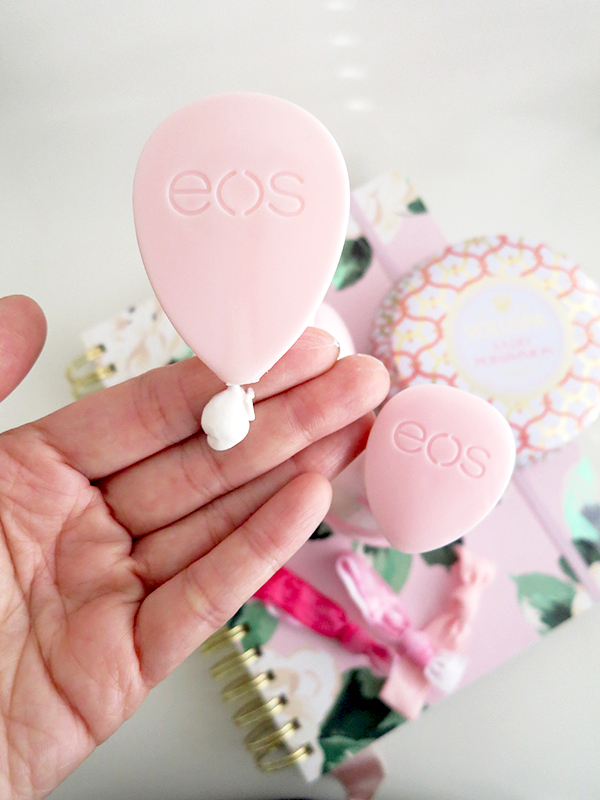 This quick-absorbing lotion has a lightweight whipped texture and a pretty fruity-floral scent that's strong upon application, but dissipates within the half hour. What's more, the formula is chock full of natural, hydrating, good-for-skin ingredients: a blend of natural oils (avocado, coconut, macadamia nut, soy bean, flower seed); vitamin E; and shea butter. It's paraben- and petrolatum-free; however, it does contain fragrance and BHT. 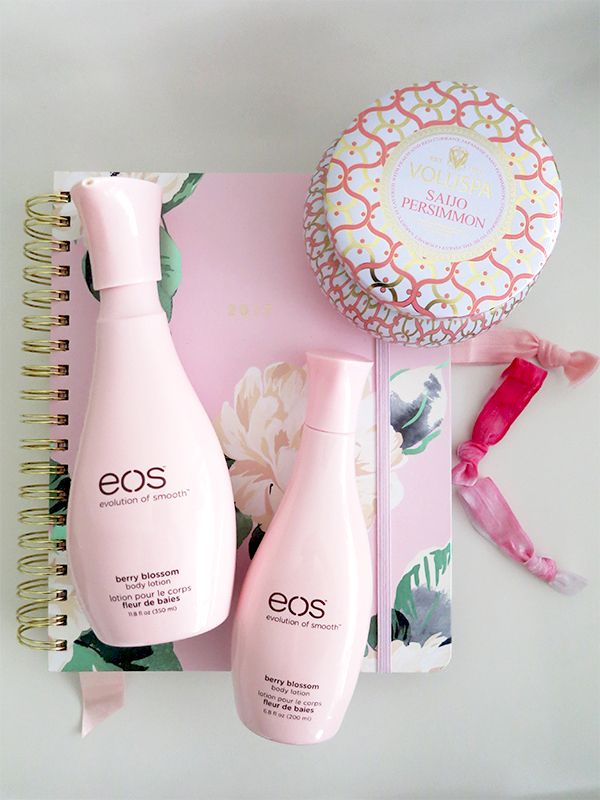 100% of net profits from the October sales of EOS Berry Blossom Body Lotion go to breast cancer research, so stock up for a good cause before the season of dry wintry air and indoor heating begins!